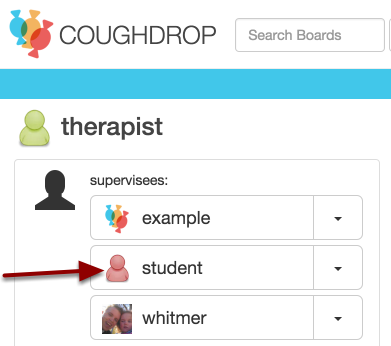 CoughDrop allows users and supervisors to record messages or notes as part of a user's log. Notes can be useful for recording the results of a session or for messaging everyone connected to the communicator about an event or observation. 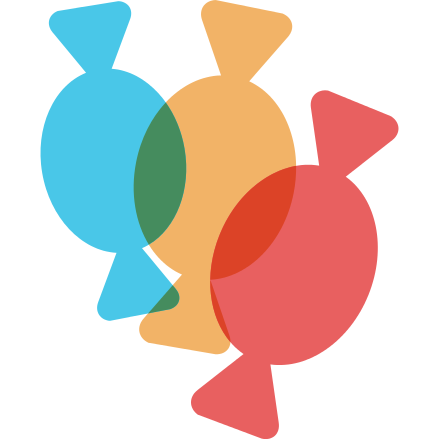 Since each user manages their own communication preferences, CoughDrop is a helpful way to message the entire support team without having to track down email addresses or phone numbers. To record a note for a user, access their profile page. This can be done from the dashboard of a supervisor, just select the communicator you want to record a note for. 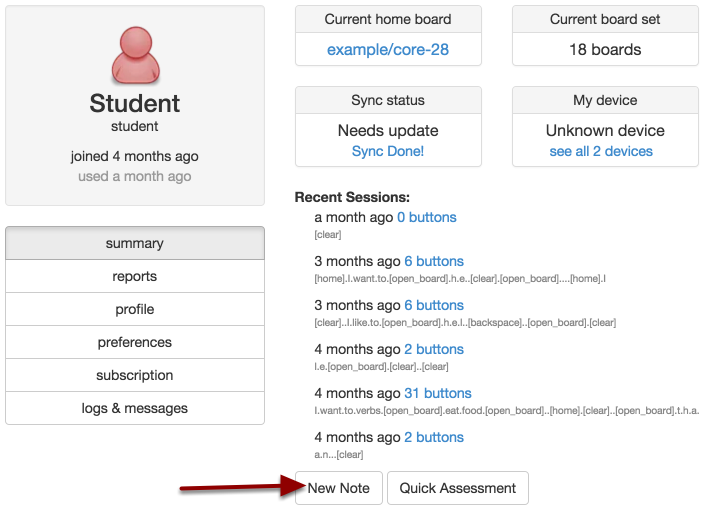 On the profile page you will see a "New Note" button that can be used to record a note. Hit the button to start composing a note. 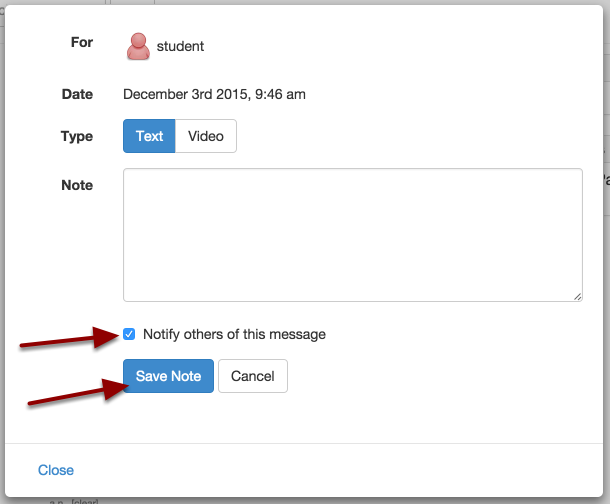 After you have written the note, you can optionally check the "Notify others of this message" box to send this note to the communicator and all of their supervisors. An email or other notification will be sent to all users connected to the account once the note is saved.